Sunlit Pages: Vote for Edenbrooke! UPDATE: Edenbrooke made it into the final round!!! I am so excited about this! Go vote for it one last time here. If you're on Goodreads (and if you're not, come on...what are you waiting for?! ), you've maybe noticed the announcements for the Goodreads Choice Awards. This is an annual event where readers have the opportunity to vote for their favorite books of the year. There are 20 categories, and many of my favorite books have made it into the semi-final round. I have voted, but the only category that I really have any strong feelings about is the romance category. 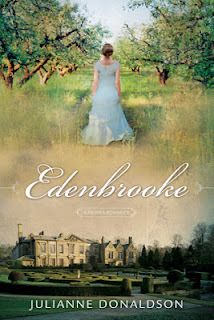 That is because Edenbrooke, one of my very, very favorite novels from this year is on the list! And I desperately want it to make it to the final round. Why? 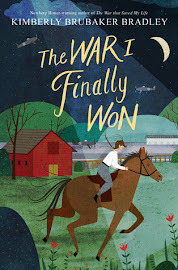 Not just because it is a great book (even though it is), and not just because Julianne Donaldson is a local author AND we were in the same ward for a short time (but she is, and we were), but mainly because I just find it so AWESOME that her book is in the top 20 ROMANCES of the year. Amid all of the other sleezy and vulgar titles, there stands Edenbrooke, beautiful and lovely and clean. 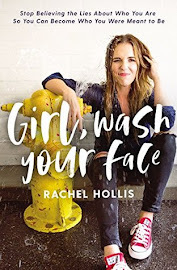 I wish there were more books like this one out there, and I want her to make it to the final round, so maybe some authors will take a second look at the romance category and see that not everyone wants all of the graphic, sexually explicit scenes that are the norm for the romance genre. So, if you have a mind to support really good, clean literature, can I beg you to go vote for Edenbrooke? (Just shield your eyes against some of the other offensive covers!) The voting for the semi-final round ends today, so click over there NOW. 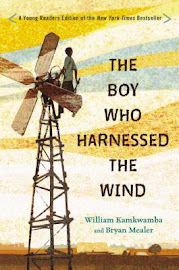 I must look up this book!